Cambodia is a post-conflict country. It remains a young modern state with a democratic system. As peaceful, as the country might seem, social reconciliation remains incomplete due to chronic political conflicts and ascending political polarisation after the 2013 general election. It’s a knife-edged situation and the risk of conflicts flaring up is relatively high if there is no strong leadership and effective mechanisms to nip it in the bud. National reconciliation, guided by the Cambodian philosophy of forgiveness, is a long-term process and sometimes it needs to outweigh the rule of law. Now, more than ever – after the July 29 election – a forward-looking leadership is a prerequisite to promote national reconciliation. In the modern history of Cambodia, after gaining independence from France in 1953, the late King Norodom Sihanouk and Prime Minister Hun Sen were the two main architects of national reconciliation. Both were willing to reconcile and compromise as long as national interests were prioritized and sincere political will guaranteed. 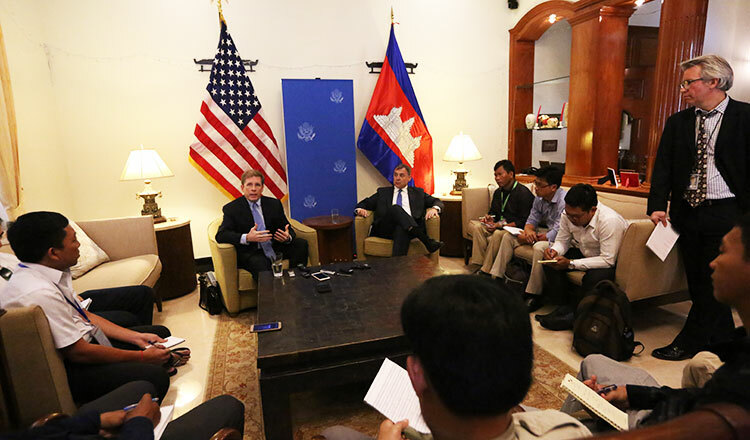 The rule of law, one of the core components of good governance, is a fluid concept in Cambodia. Politicians have interpreted and applied the term quite differently based on their perception and interests. Sometimes it is politically manipulated, which allows the culture of impunity to grow. Now the questions concerning the rule of law have gained traction after several people were pardoned or released on bail. The opposition leaders and some self-proclaimed democratic countries where independence of the judiciary is held in high esteem have called on the Cambodian government to drop charges and release whom they call “political prisoners”. In a functioning democracy, the executive and judiciary are independent and under no circumstances can the executive dictate what the judiciary can or cannot do – to prevent the exercise of arbitrary power. unacceptable in these democratic countries. So why are they advocating it for Cambodia – to undermine the independence of the judiciary? 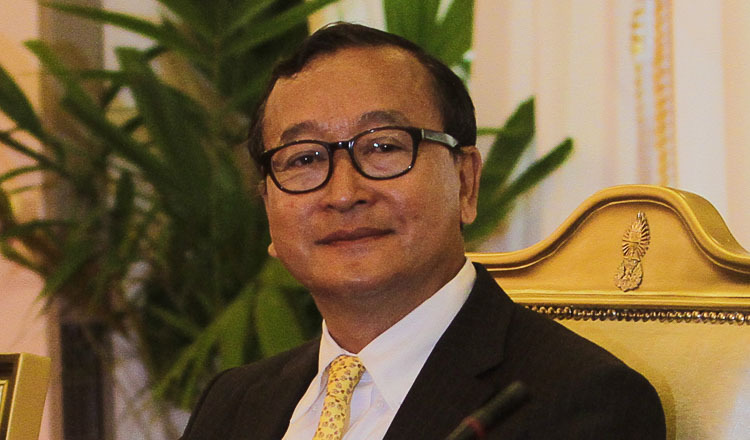 In the Cambodian legal system, His Majesty the King has the authority to grant pardon upon the request made by the prime minister. Recently, Prime Minister Hun Sen has publicly declared that he would submit his request to the King to pardon some political prisoners in order to promote national reconciliation – but stressed that he would not please any countries or kowtow to the fugitive political leaders in self-exile. Last week, Tep Vanny, a self-proclaimed land activist, was pardoned by His Majesty the King. Soon after her release, she vowed to continue fighting for the Boeung Kak community. It is likely that she will continue challenging the government in highly contentious land issues, which now seem chronic and complex. The authorities are also not blameless in this aspect as the Boeung Kak land dispute goes back to 1993 when the government in the first mandate used armed forces to restore law and order in the community and failed. They have to make public, the real reasons of the disputes and bite the bullet instead of keeping it shrouded in secrecy. They must display all the census results done from 1993 until now and also make known – name and shame if you will – those who have received some form of compensation but have returned for more. 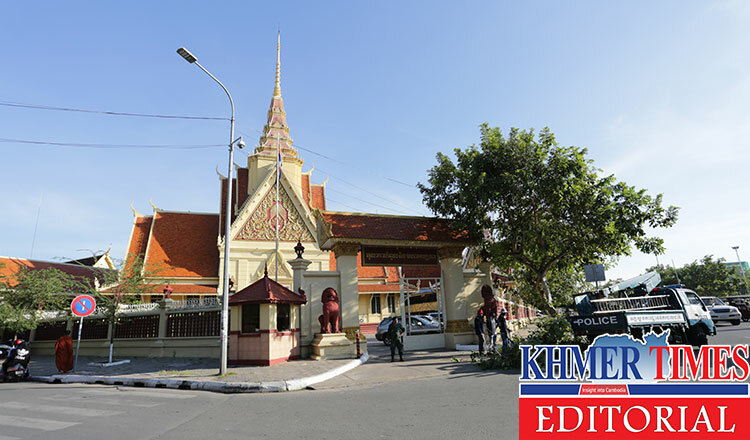 Last week, too, political analyst Kim Sok who questioned the legitimacy of the court and the whole state institution, in relation to the slaying of well-known analyst and commentator Kem Lay, was also released. He served an 18-month prison sentence after the Phnom Penh Municipal Court found him guilty of defaming the ruling CPP. Mr Hun Sen, CPP head and prime minister, had filed the suit against Mr Sok. On his release, Mr Sok told RFA’s Khmer Service that Prime Minister Hun Sen’s CPP had done nothing to earn a landslide victory in the July 29 ballot. “I am disappointed with politicians who know only how to brag [without doing] anything,” he said. On the other hand, it is clearly evident that Mr Sok is still a braggart and loud-mouth himself. However, it shows there was no deal in place to buy his silence as he continues on mocking the system with his verbal diarrhoea. Prime Minister Hun Sen, being magnanimous, has left the window of political reconciliation open. A senior member of the outlawed Cambodia National Rescue Party (CNRP), Um Sam An, was pardoned and released last Saturday. He was convicted of insurrection and incitement. Other eleven members of the outlawed CNRP will be pardoned by the King, depending on the political atmosphere. These acts clearly demonstrate a genuine political will on the part of the government in forging national reconciliation and unity. However, the chance for other convicted senior leaders of the outlawed CNRP to get pardoned remains slim due to their continuous unreasonable and provocative behavior. The call for international pressures and sanctions is counterproductive to political reconciliation and nation building. The opposition leaders should have put national and people’s interests first and stop misleading the public. Unfortunately, the behaviors and activities of Mr Sam Rainsy have exacerbated social division and political polarisation in the Kingdom. Why do some Western countries still support such an irresponsible politician? Why can’t they open their hearts and minds to learn more about Cambodia, especially the underlying social and political factors that hold the country’s fabric together to prevent it from being torn at the seams by an outlawed opposition that spews racial hatred? The window for political compromise and reconciliation will likely be closed soon. The opposition leaders and their international friends should grasp the opportunity and be sincere in political dialogues. Pressures and sanctions on Cambodia’s new government will only bear bitter fruits. Political trust is the most important political capital in national reconciliation. Now is the time for opposition leaders to show their genuine political will and stop gambling with power politics and personal fame. The current generation of leadership, although they cannot reach common ground, should encourage the future generation of leadership to create a political environment conductive for trust building and national reconciliation. Honest and straight to the point. Yes we need reconcile badly for the sake of our country .